Despite many employers still trying to wrap their heads around attracting and retaining the Millennial workforce, it's time to shift focus to Generation Z - the newest generation infiltrating the workforce in increasingly large numbers. Make no mistake about it, these new workers are vastly different from their Millennial predecessors. Believe it or not, 55.6% of companies are already targeting the Generation Z cohort. But to be successful in doing so, employers must understand the significant generational traits distinctive to Gen Z and recognize their unique values in order to attract top talent. 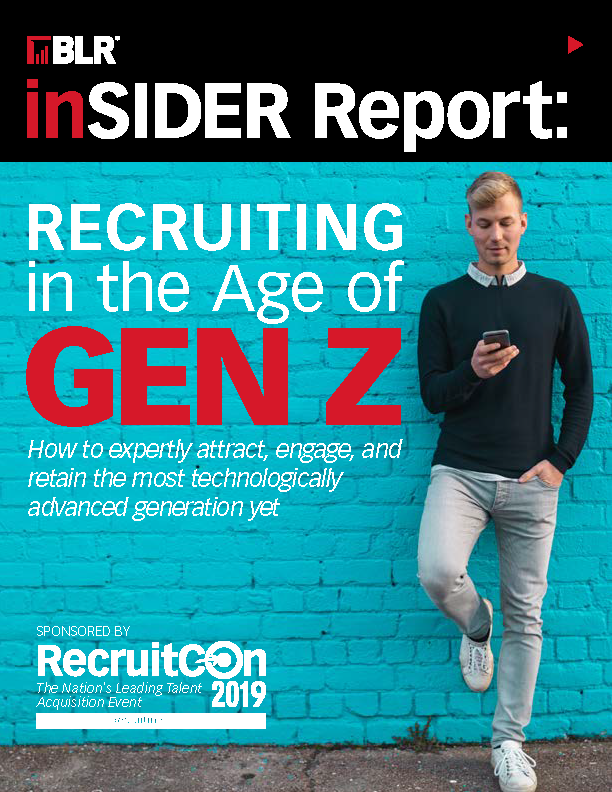 In this special 12-page Insider Report, we're diving head first into everything Gen Z - who they are, what they believe in, how they view the world, and how you can use this information to successfully attract, engage, and retain the best and brightest of Gen Z. Not only will understanding this new generation help you to secure top talent, but it will change the way you view your recruiting strategy and the future of your workforce.